Metabolites, low-molecular weight organic molecules, are a constant product of living biological systems. Unlike genes, metabolites are temporally dynamic, changing as an organism or cell population lives, feeds, ages and develops disease. The comprehensive analysis of metabolites in a system, or metabolomics, can provide a deep and incredibly insightful picture of a living system. Within the metabolome of living systems, microbiota play a significant role. Recent scientific studies reveal that well over 99% of life on our planet is microbial. This microbial “dark matter” is enormous and found not only within us (the human microbiome) but all around us. With no teeth, scales, traditional nervous systems or immunity, these organisms rely exclusively on complex metabolites to communicate, mediate their environments and even control their hosts. This ancient, highly evolved, and diverse chemical language is a vastly untapped source of new disease insights and potential starting points for new medicines. Sirenas is on a mission to discover transformative medicines by deploying ATLANTIS™ and GALILEO™ to harness the untapped potential found in the chemistry of Earth’s living systems. From aspirin, to penicillin, to rapamycin, the natural world has been, and continues to be, a prolific source of medically relevant chemical starting points for groundbreaking therapeutics. Unfortunately, typical approaches in this field are plagued by long-timelines and sample complexity. Since 2012, Sirenas has been the pioneer and global leader in harnessing computational metabolomics for the discovery of small molecule therapeutic leads from natural sources. Our approach, dubbed ATLANTIS™, unleashes cutting-edge computational algorithms on large, proprietary metabolomic and bioassay datasets to rapidly uncover key chemical and biological insights for the small molecules present in complex samples from extremely biodiverse environments. 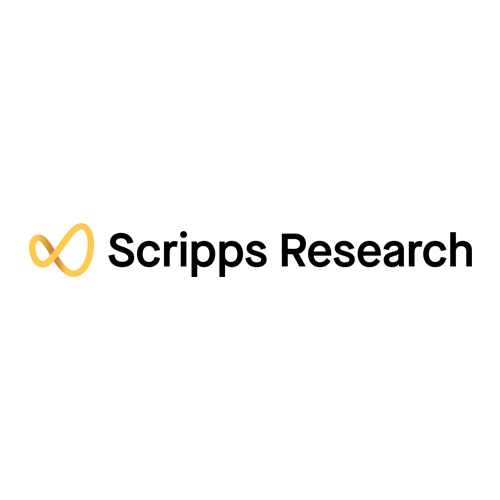 The end result: the ability to mine a vastly untapped chemical language for new chemical scaffolds effective across a broad array of high value targets and disease models. Building on the technology and approaches from ATLANTIS™, GALILEO™ merges large human and mammalian metabolomic data sets with modern computational and machine-learning approaches to reveal key biological insights associated with human health and disease. Our goal is to uncover new therapeutic targets and biomarkers of disease and aging, as well as key bioactive metabolites that may be used as novel chemical scaffolds. 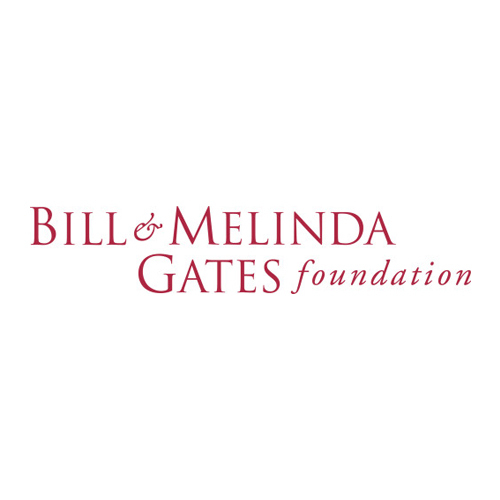 We seek to deploy both ATLANTIS™ and GALILEO™ in the discovery of transformative medicines. 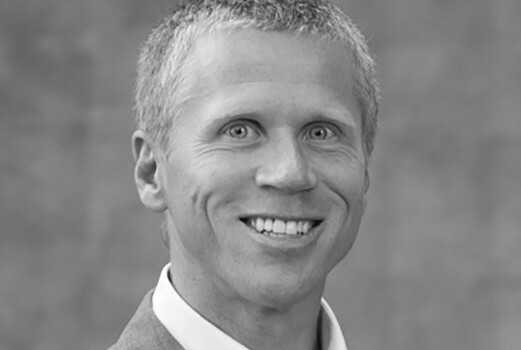 Jake Beverage, PharmD, is co-founder and Chief Executive Officer of Sirenas. Dr. Beverage has over 15 years of experience in the pharmaceutical industry in roles spanning discovery, development and commercialization. Previously, he served as Chief Operating Officer at Sirenas, overseeing R&D and corporate operations as well as directing external relationships with academic, foundation and industry partners. Prior to Sirenas, he held roles of increasing responsibility at Genentech, serving as a director in the medical affairs group for products including Herceptin™, Avastin™, Tarceva™ and Xeloda™, and in sales and marketing roles within the commercial division. Before Genentech, Dr. Beverage served on clinical development teams spanning Phases I-IV at Chugai Pharma USA and Corixa Corporation, with a focus on oncology therapeutics. Dr. Beverage received his doctor of pharmacy from the University of California, San Francisco and earned a bachelor of arts degree in biology from Vanderbilt University. 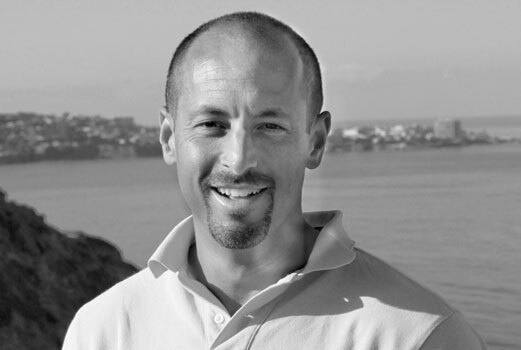 Eduardo Esquenazi, PhD, is the Founder, Chairman and Head of Innovation at Sirenas. Whether he’s off the shores of Hawaii or in the boardroom of Sirenas’ San Diego headquarters, Dr. Esquenazi exudes passion for innovation in healthcare, with a focus on the development of technologies that can disrupt the early-stage drug discovery process. He served as Founder and CEO of Sirenas from its inception until August of 2017, and is the lead inventor behind Atlantis™. Now as Chairman of Sirenas, he oversees the company’s strategic growth, and as Head of Innovation, inspires and helps direct the discovery and informatics arms of the company, including library creation, acquisition of biodiversity and the continued development of Atlantis ™. Dr. Esquenazi earned his doctorate in biology from the Center for Marine Biotechnology and Biomedicine at The Scripps Institution of Oceanography and The Skaggs School of Pharmacy at University of California, San Diego, and received his bachelor of science in biology and neuroscience from Vanderbilt University. Since 2008, he has published more than twenty peer-reviewed articles on novel approaches in microbial and marine metabolomics and drug discovery. He is the 2010 recipient of The San Diego Fellowship and the 2008 recipient of the National Institutes of Health Training Grant in Marine Biotechnology. Outside of Sirenas, Dr. Esquenazi serves on select scientific and corporate advisory boards. 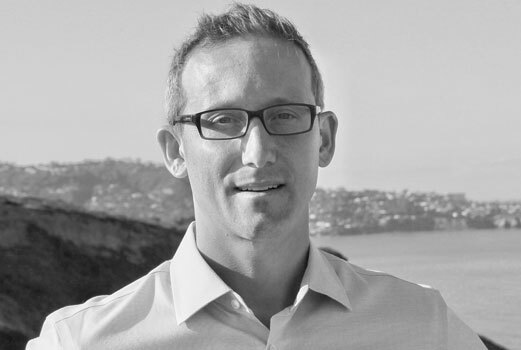 He has been featured on Biotech Nation, is a speaker at leading conferences, including a keynote address at The Gordon Research Conference on Marine Natural Products in 2016, served on a dual panel alongside Fabien Cousteau, at the South by Southwest Conference, Health Track in 2017, presented the “The Secret Language of Life” at TEDxUCSD in 2017, and gave the final keynote at the 2017 DataWest Conference. Phil Baran, PhD, is co-founder of Sirenas, overseeing the chemical synthesis of complex marine molecules into viable therapeutic candidates. 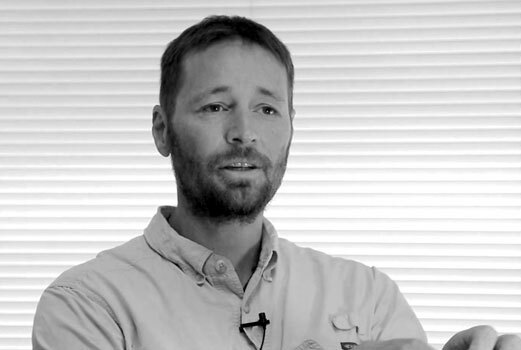 Dr. Baran is a Chemistry Professor and holds the Darlene Shiley Chair at The Scripps Research Institute (TSRI), where he runs an industrious lab focused on natural product synthesis. The organic chemist is recognized globally for the strides he has made in creating scalable, economical synthetic routes for the most complex compounds. Among many honors, in 2013 he was selected as a MacArthur Fellow for his work on the total synthesis of complex molecules for cancer treatment. Dr. Baran earned his doctorate from TSRI under K.C. Nicolaou and his bachelor of science from New York University. He was a postdoctoral associate under E.J. Corey at Harvard University before joining the faculty at TSRI. His scientific papers have appeared in Nature, Science, Angewandte Chemie, and the Journal of the American Chemical Society, among others. Eduardo Esquenazi, PhD, is founder, Chairman and Head of Innovation at Sirenas. He can often be found in remote marine habitats, hunting down unstudied organisms with diverse chemical biology profiles. But whether he’s off the shores of Hawaii or in the boardroom of Sirenas’ San Diego headquarters, Dr. Esquenazi exudes passion for innovation in healthcare, including development of disruptive technologies in the early drug discovery process. He oversees the company’s strategic growth and directs the discovery and informatics arms of the company, including library creation, acquisition of biodiversity and cutting edge data analytics. Dr. Esquenazi earned his doctorate in biology from the Center for Marine Biotechnology and Biomedicine at The Scripps Institution of Oceanography and The Skaggs School of Pharmacy at University of California, San Diego, and received his bachelor of science in biology and neuroscience from Vanderbilt University. Since 2008, he has published more than twenty peer-reviewed articles on novel approaches in microbial and marine metabolomics and drug discovery. He is the 2010 recipient of The San Diego Fellowship and the 2008 recipient of the National Institutes of Health Training Grant in Marine Biotechnology. Dr. Esquenazi has been featured on Biotech Nation, is a speaker at leading conferences, including a keynote address at The Gordon Research Conference on Marine Natural Products in 2016 and a dual panel alongside Fabien Cousteau, at the South by Southwest Conference, Health Track in 2017 and presented the “The Secret Language of Life” at TEDxUCSD in 2017. Mary Haak-Frendscho, PhD joined Sirenas in October 2015 as executive chair, working with the leadership team to realize the company vision as an innovative and sustainable platform to continually discover and develop compelling small molecule therapeutics and ADC payloads. Dr. Haak-Frendscho also serves as Chairman of the Board of Compugen, Inc., a subsidiary of Compugen, Ltd., devoted to translating in silico predicted targets into immuno-oncology therapeutics. Previously, she was CEO and member of the Board at Igenica Biotherapeutics, Inc. Prior to that, Dr. Haak-Frendscho was founding President, CSO and Board member of Takeda San Francisco, establishing and overseeing Takeda’s Center of Excellence for Biologics. 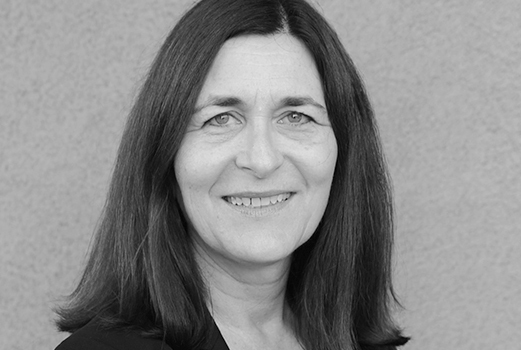 Earlier in her career Dr. Haak-Frendscho held positions of increasing responsibility at XOMA, Abgenix (now Amgen), and Genentech, where she secured collaborative relationships with external corporate partners and led therapeutic antibody programs. At Genentech, she played a key role in the development of omalizumab (Xolair®). Dr. Haak-Frendscho has authored over 70 scientific articles and has over 30 issued plus pending patents. An immunologist by training, Dr. Haak-Frendscho obtained her BS from the University of Michigan, MLA from Washington University in St. Louis, MS from SUNY-Stony Brook, CSEP from Columbia University Graduate School of Business and PhD from the University of Wisconsin, where she has an adjunct appointment in the Department of Pathobiological Sciences. Bob More has held partner-level roles at leading life-science venture capital firms Frazier Healthcare Partners, Domain Associates, and is currently a partner at Alta Partners. He has managed successful investments by serving on the boards of Sienna Biopharmaceuticals, ESP Pharma (acquired by Protein Design Labs, Inc.), Proxima Therapeutics (acquired by Cytyc Corporation), NovaCardia (acquired by Merck), Esprit Pharma (acquired by Allergan), IntraLase (acquired by Advanced Medical Optics, Inc.), Oceana Therapeutics (acquired by Salix Pharmaceuticals), Achaogen (NASDAQ: AKAO), Neothetics, (NASDAQ: NEOT), Glaukos Corporation (NYSE: GLKS), and a founding board member of the Kauffman Fellows Program. In addition, Bob was an investor in Clovis Pharmaceuticals, Affinivax, and Sienna Labs. Currently, he is a Senior Advisor of Venture Investing at the Bill & Melinda Gates Foundation and serves on the boards of One Revolution and The Foundation for Innovative New Diagnostics (FIND). He received his B.A. from Middlebury College and an M.B.A. from the Darden School of Business Administration at the University of Virginia. Benjamin F. Cravatt is a Professor and Co-Chair of the Department of Molecular Medicine at The Scripps Research Institute. His research group is interested in understanding the roles that enzymes play in physiological and pathological processes, especially as pertains to the nervous system and cancer. Dr. Cravatt obtained his undergraduate education at Stanford University, receiving a B.S. in the Biological Sciences and a B.A. in History. He then received a Ph.D. from The Scripps Research Institute (TSRI) in 1996. Professor Cravatt joined the faculty at TSRI in 1997. Dr. Cravatt is a co-founder and scientific advisor of Activx Biosciences, Abide Therapeutics, and Vividion Therapeutics. 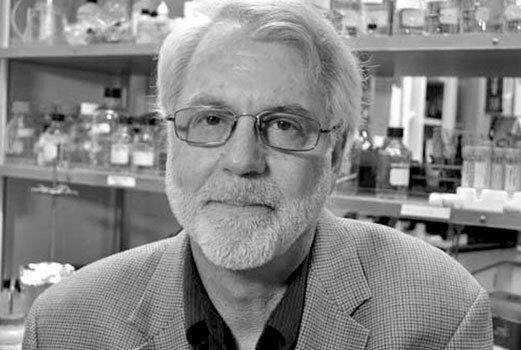 His honors include a Searle Scholar Award, the Eli Lilly Award in Biological Chemistry, a Cope Scholar Award, the Protein Society Irving Sigal Young Investigator Award, the Tetrahedron Young Investigator Award in Bioorganic and Medicinal Chemistry, the ASBMB Merck Award, and memberships in the National Academy of Sciences and American Academy of Arts and Sciences. Terry Rosen, PhD has been leading successful drug discovery and development organizations in the biotechnology and pharmaceutical industries for over 30 years. In 2015, he co-founded Arcus Biosciences, a drug discovery company focused on the treatment of cancer by blocking tumor-induced immunosuppression. 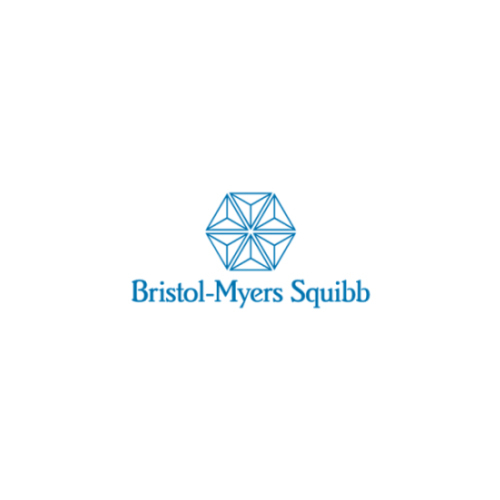 Previously, he was co-founder and CEO of Flexus Biosciences, a company created to develop small-molecule drugs to reverse tumor immunosuppression, which was acquired by Bristol-Myers Squibb early in 2015 for $1.25 billion. Prior to Flexus, Terry served as Vice President, Therapeutic Discovery (TD) at Amgen and as the site head for Amgen South San Francisco, having joined Amgen with the acquisition of Tularik in 2004. He was named Amgen Washington site head in 2006, transitioned to a leadership role heading Chemistry Research and Discovery in 2007 and became the head of Protein Sciences in 2011. He and his leadership team were responsible for the creation of the TD organization, a group of 550+ staff responsible for all of Amgen’s large and small molecule drug discovery efforts. Pieter Dorrestein, PhD is a professor at the University of California, San Diego. He is the Director of the Collaborative Mass Spectrometry Innovation Center and a Co-Director of the Institute for Metabolomics Medicine in the Skaggs School of Pharmacy & Pharmaceutical Sciences and Department of Pharmacology and Pediatrics. 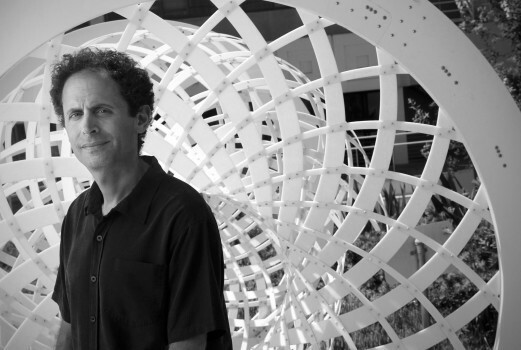 Since his arrival to UCSD in 2006, Dr. Dorrestein has been pioneering the development of mass spectrometry methods to study the chemical ecological crosstalk between populations of microorganisms, including host interactions for agricultural, diagnostic and therapeutic applications. He participated in panels for the White House Office of Science and Technology Policy on the launch of a national microbiome initiative and has been on panels for the National Academy of Sciences on the chemistry of the microbiome. In total, he has co-authored 220 scientific publications and his work has been featured by The Wall Street Journal, CNN, The New York Times, Fox, BBC and hundreds other news outlets. He has been recognized with many awards, among them are from the Beckman Foundation, V-foundation in cancer research, EUREKA award for unconventional and enabling research, Hearst Foundation, as well as the Pharmaceutical Research and Manufacturing Association Research award and the Abel award in pharmacology. For a more detailed biography visit the following link, Nature.com, The man who can map the chemicals all over your body. 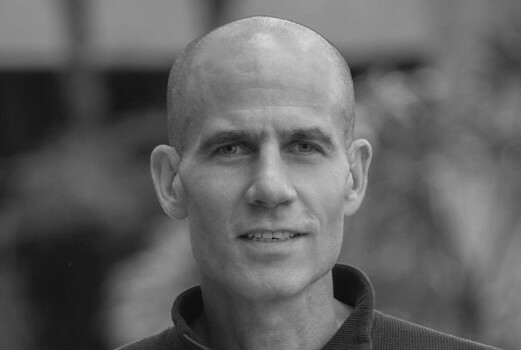 Christopher Walsh is a consulting professor to the Stanford University Department of Chemistry and an advisor to the Stanford ChEM-H institute. He was the Hamilton Kuhn Professor of Biological Chemistry and Molecular Pharmacology at Harvard Medical School from 1987 to 2013, when he took emeritus status. He has had extensive academic leadership experience, including Chairmanship of the MIT Chemistry Department and of the HMS Biological Chemistry & Molecular Pharmacology Department, as well as serving as President and CEO of the Dana Farber Cancer Institute. 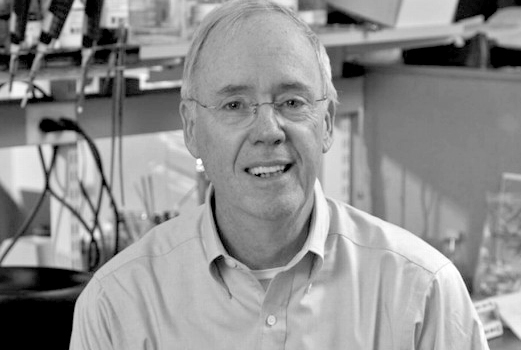 Dr. Walsh is a member of the U.S. National Academy of Sciences, the U.S. National Academy of Medicine, the American Academy of Arts and Sciences, the American Philosophical Society, and a co-recipient of the 2010 Welch Prize in Chemistry. He has been involved in a variety of venture-based biotechnology companies since 1981, including Genzyme, Immunogen, Leukosite, Millenium, Kosan, Vicuron, Epizyme. Currently he is on the board of directors of Ironwood, and Proteostasis, and the non profits: California Institute for Biomedical Research and Ludwig Institute for Cancer Research. He is a member of the scientific advisory groups at Hua, Abide, Cidara, and Flex Pharma, an advisor to Health Care Ventures and a limited investor in Health Care Ventures, MPM bioventures, Clarus, and the Longwood Venture Funds. Dr. Walsh received his bachelor degree in biology from Harvard in 1965, and his doctorate degree from Rockefeller University in 1970. Jin-Quan Yu, PhD is the Frank and Bertha Hupp Professor in the Department of Chemistry at The Scripps Research Institute. 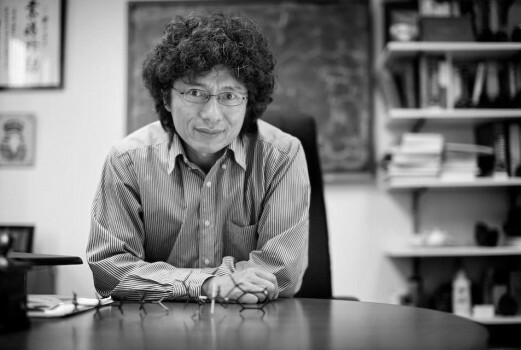 Among many honors, in 2016 he was selected as a MacArthur Fellow for his pioneering new techniques for the functionalization of carbon-hydrogen bonds. Dr. Yu’s unconventional approach to C–H functionalization is creating a paradigm shift in the logic of organic synthetic chemistry and breaking down barriers to the development of versatile compounds with enormous benefits to academic, industrial, and pharmaceutical research. Additionally, Dr. Yu was awarded the ACS Elias J. Corey Award for Outstanding Original Contribution in Organic Synthesis by a Young Investigator in 2014. He received a B.Sc. (1987) from East China Normal University, an M.Sc. (1990) from Guangzhou Institute of Chemistry, and a Ph.D. (1999) from the University of Cambridge. He was a research fellow (1998–2002) and junior faculty member (2003–2004) at the University of Cambridge, postdoctoral fellow (2001–2002) at Harvard University, and assistant professor of chemistry (2004–2007) at Brandeis University prior to his current affiliation with The Scripps Research Institute. His scientific articles have been published in Nature, Science, Journal of the American Chemical Society, Angewandte Chemie International Edition, and Nature Chemistry. Alan Ezekowitz currently serves as President and CEO of Abide Therapeutics, a company he co-founded in 2011 with Professors Dale Boger and Ben Cravatt from the Scripps Research Institute. Prior to creating Abide, Dr. Ezekowitz was Senior Vice President and Franchise Head, Bone, Respiratory, Immunology, Respiratory, Bone and Muscle, Dermatology and Urology at Merck Research Laboratories, where he was responsible for the drug discovery and development process from target identification through proof of concept. He worked closely with his commercial General Manager to develop the life cycle strategy for approved drugs in those areas. He co-chaired the Joint Venture with Jansen to oversee the development of Remicade and Simponi in the EU. 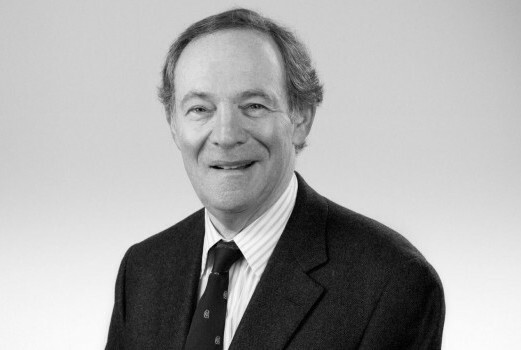 Prior to Merck, Dr. Ezekowitz was the Charles Wilder Professor of Pediatrics at the Harvard Medical School and served as the Chief of Pediatric Services at the MassGeneral Hospital for Children and the Partners Healthcare System. He has served on multiple boards and committees, including the chair position of the Executive Committee on Research at Massachusetts General Hospital, the Board of Directors of the Partners Healthcare system and the MassGeneral Physicians Organization. He has also served on the Boards of Anika Therapeutics and Natimmune, a biotech company that he founded. He currently serves on the Board of Directors of Oxagen and Abide Therapeutics. He served on many committees at the Harvard Medical School and chaired the committee that led to the establishment of the Academy at HMS and served as a Scholar and Founding Member. He is a member of the American Society of Clinical Investigation and a Fellow of AAAS. He has also been a part of multiple Subcommittees for the NIH. In 2008, he was honored with the establishment of the R. Alan Ezekowitz Professorship in Pediatrics at the Harvard Medical School. He also directed the Laboratory of Developmental Immunology. He is a pioneer in the field of innate immunity and has over 150 publications. He was the Principal Investigator of an NIH Program Grant that included Jules Hoffmann (Nobel Laurette 2011 for the discovery of Toll receptors). Dr. Ezekowitz received his medical training at the University of Cape Town in South Africa and was awarded a Doctor of Philosophy degree from Oxford University, where he also completed a postdoctoral fellowship. At Children’s Hospital in Boston, he completed a second postdoctoral fellowship in the Division of Hematology and Oncology and his clinical training in pediatrics. 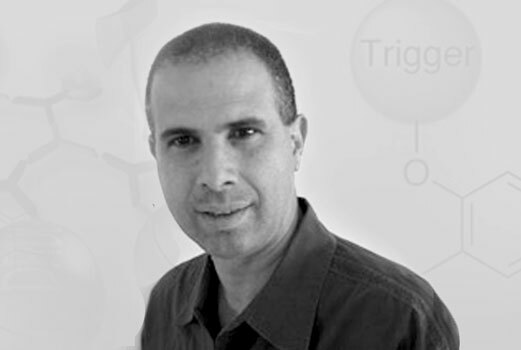 A professor at Tel-Aviv University, Doron Shabat’s group has developed novel molecular systems with self-immolative capabilities. Self-immolative refers to the ability of a molecule to undergo spontaneous domino-like disassembly upon a stimulus event. They have described a chemical adaptor system for targeted prodrug approaches, in which the prodrug is disassembled from the targeting moiety to release the active drug upon a triggering event. The group has also developed dendrimers with self-immolative capabilities and recently, expanded the approach to linear polymers and combination polymers. These approaches are of great interest to Sirenas as it develops the next generation of linker-drugs for ADCs and other targeting mechanisms. Bill Gerwick, PhD is a Distinguished Professor of Oceanography and Pharmaceutical Sciences at Scripps Institution of Oceanography and Skaggs School of Pharmacy and Pharmaceutical Sciences at University of California, San Diego. His research is focused on exploring the unique naturally occurring molecules of marine algae and cyanobacteria for biomedical properties that are useful in treating cancer, inflammation and infectious diseases, as well as agricultural use. Dr. Gerwick received his bachelor of science in biochemistry from the University of California Davis in 1976 and his doctorate in oceanography from the Scripps Institution of Oceanography at UCSD in 1981. He held a postdoctoral position in the School of Pharmacy at the University of Connecticut, and then advanced through the ranks to become full professor in 1992 at the College of Pharmacy, Oregon State University. In 2005 he returned to La Jolla to hold a joint professorship at Scripps Institution of Oceanography and the Skaggs School of Pharmacy and Pharmaceutical Sciences. Dr. Gerwick has presented more than 200 invited lectures and published in excess of 250 scholarly scientific works and book chapters on marine natural products drug discovery and biosynthesis. He has served on the National Institutes of Health Review Committee for natural products research (2003-2007), was the elected Chair of the Gordon Research Conference on Marine Natural Products Chemistry (1996), the elected president of the American Society of Pharmacognosy (2002-3), and received the UCSD Chancellor’s Associates Award for Excellence in Science and Engineering in 2011. Sirenas Enters Into Multi-Target Collaboration With Bristol-Myers Squibb. View press release. Sirenas receives research grant totaling $1.68 M to accelerate its drug discovery technology, ATLANTIS™. View press release. Sirenas establishes world leading Scientific Advisory Board. View press release. 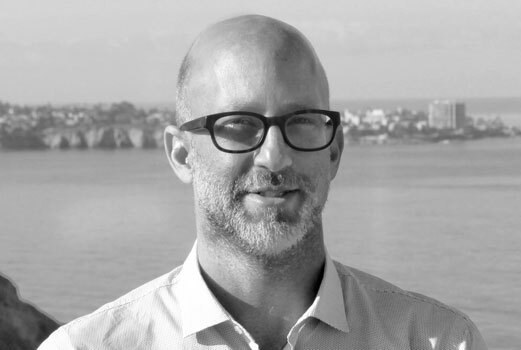 Sirenas appoints industry leaders to its Board. View press release. CEO and Founder Eduardo Esquenazi shares “The Secret Language of Life” at TEDxUCSD. Watch the full TED talk. HATCH by San Diego Magazine captures the story of Founder and CEO Eduardo Esquenazi and how it shaped Sirenas. Read full article. Founder and CEO Eduardo Esquenazi speaks with the Smithsonian about his journey and the path forward for Sirenas LLC. Read full interview. Learn more about how Sirenas is meeting the challenges of natural product discovery in a feature by Fast Company’s Fast Co.Exist! Sirenas and Calibr form a drug discovery collaboration. View press release. Sirenas is a panel finalist for South by Southwest 2017! Alongside Fabien Cousteau, Sirenas CEO Eduardo Esquenazi will address “Racing Climate Change to Cure Neglected Diseases” – Read full panel description. CEO Eduardo Esquenazi speaks with Xconomy about Sirenas’ key innovation. Learn more. Sirenas is awarded a grant to identify nature-inspired drug leads for neglected diseases. View press release. The San Diego Business Journal features Sirenas in the wake of grant announcement. Read more. On this week’s BioTech Nation, looking for new drugs … in the ocean. Dr. Eduardo Esquenazi, Founder and CEO of Sirenas LLC, talks about bioprospecting. Listen to full podcast. Sirenas creates and connects large scale metabolomic data with cutting-edge technology and algorithms to efficiently yield breakthrough medical discoveries. We are actively looking for talented individuals to join our innovative team.